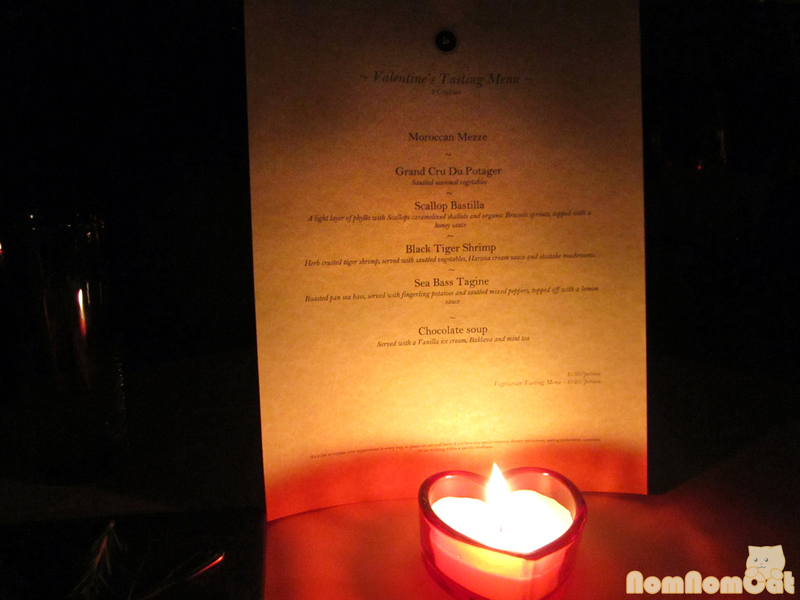 As if the bacon roses weren’t enough, Martin also surprised me on Valentine’s Day by snagging one of the last reservations for dinner at Tagine, a quaint, 10-table Moroccan restaurant in Beverly Hills. I thought he was exaggerating but when we walked through the green and blue facade, I literally counted eight 2-tops and two slightly larger tables made for 3-4 people each. 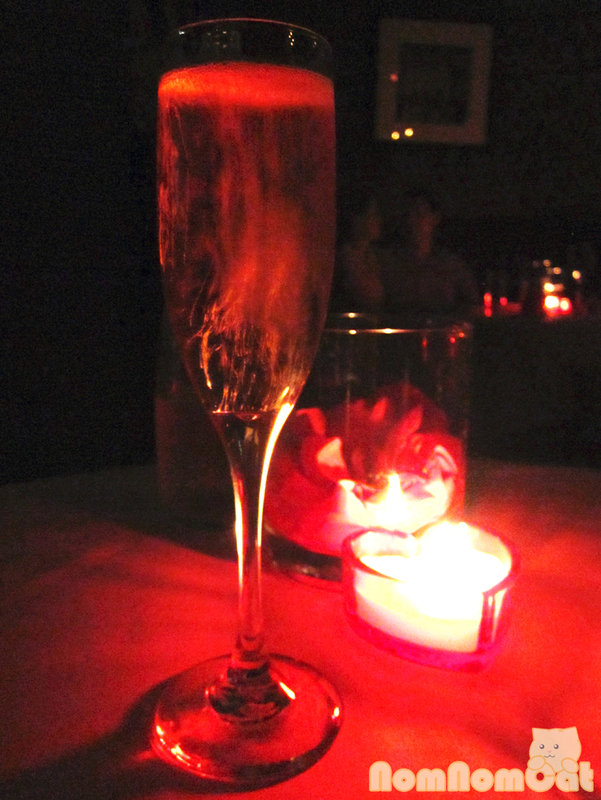 The ambiance was fitting for Valentine’s Day — dim candle lighting, jazzy 20’s music, cozy pillow-covered benches. I was pretty excited (and unsure of what to expect from a restaurant co-owned by Ryan Gosling). 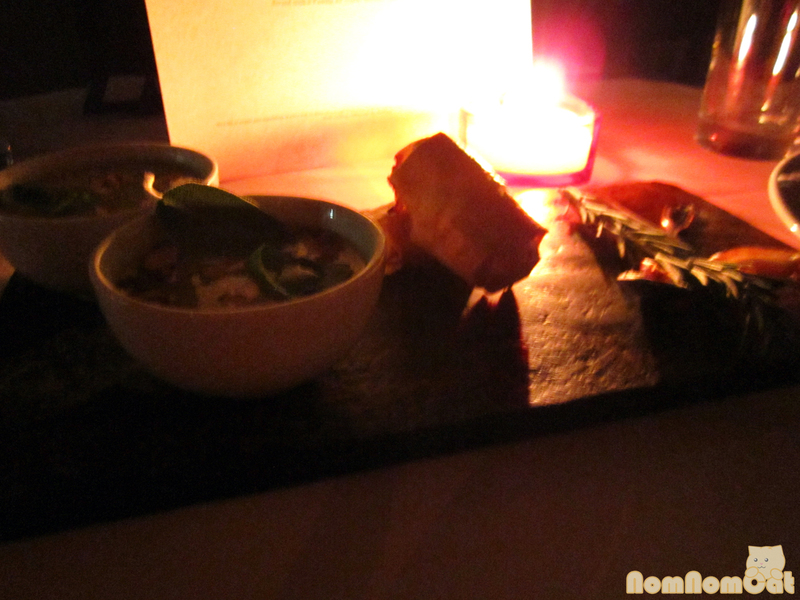 It went wonderfully with the amuse bouche: goat cheese and fig on a spoon, warm savory soup garnished with sliced almonds, and samosa-like rolls. Yum! 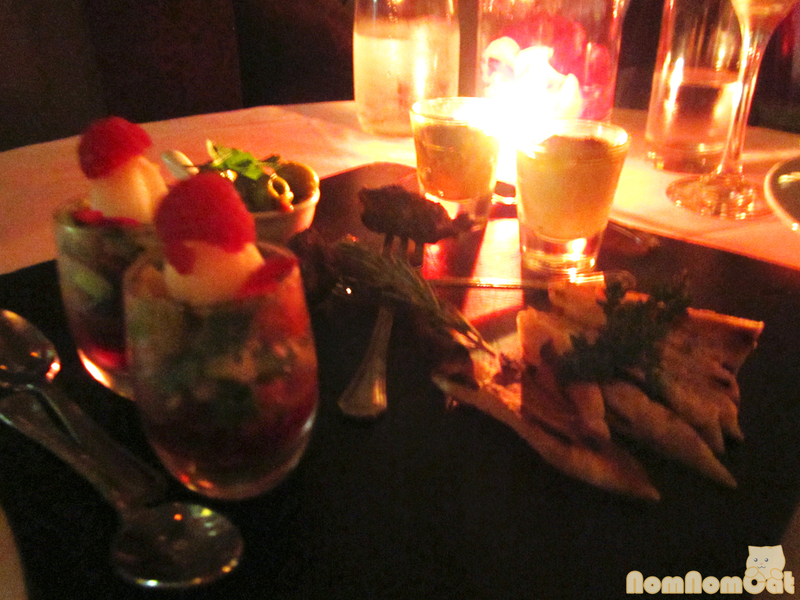 Course 1: Moroccan Mezze – a stone tablet laden with shot glasses containing an assortment of delicious Mediterranean starters. Marinated olives, eggplant puree, hummus, grilled pita, Moroccan spiced beef, and a refreshing cucumber salad. My favorite was definitely the hummus. Homemade hummus is SO much better than any store-bought variety… amazing. A close second was that cucumber salad, a shot glass layered with beets, tomatoes, vinegary cucumbers, lemon sorbet, and topped with a raspberry. 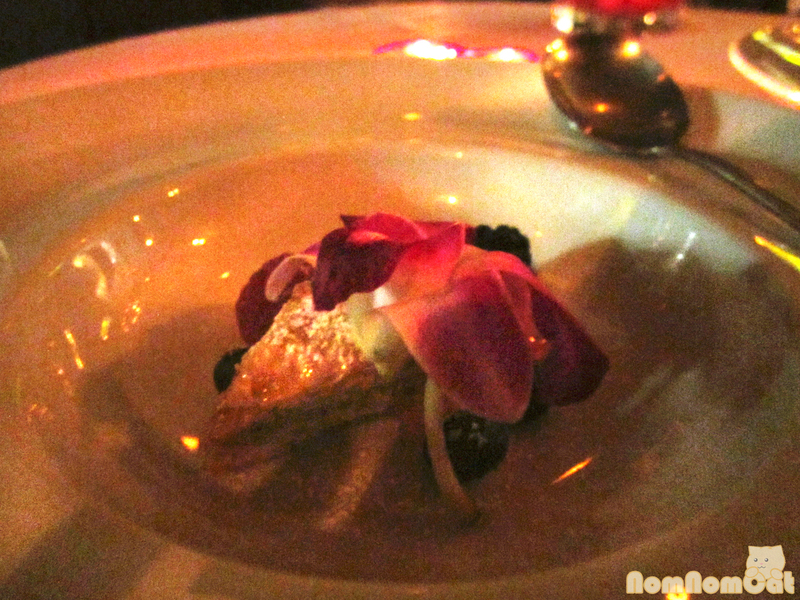 The layering of sweet then tart then earthy flavors was really fascinating. Course 3: Scallop Bastilla – a light layer of phyllo with scallops, caramelized shallots and brussels sprouts, topped with a honey sauce. 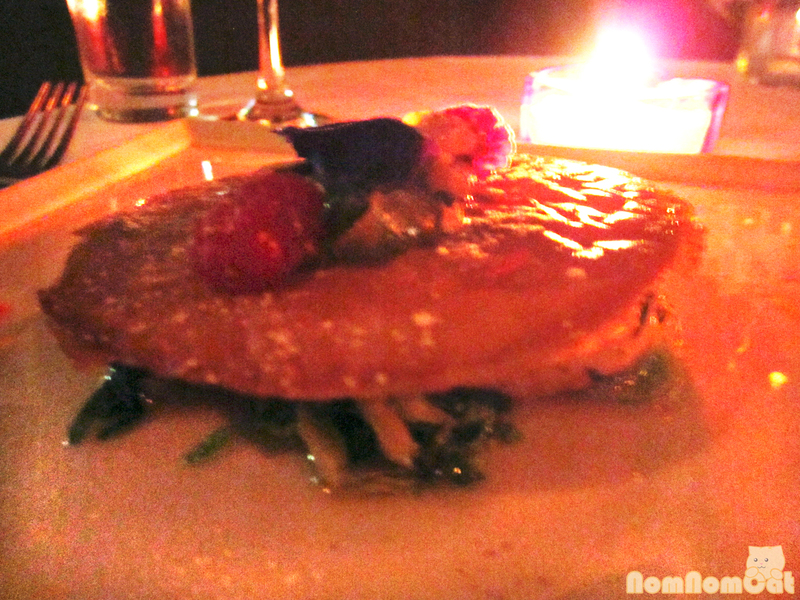 “Light layer” is an understatement – the plate arrived with a very prominent disc of crispy, golden phyllo glazed with honey. Dig a little deeper to find the seared scallops and below that, a bed of perfectly seasoned and sautéed brussels sprouts. Course 4: Black Tiger Shrimp – herb crusted tiger shrimp, served with sautéed vegetables, Harissa cream sauce and shiitake mushrooms. 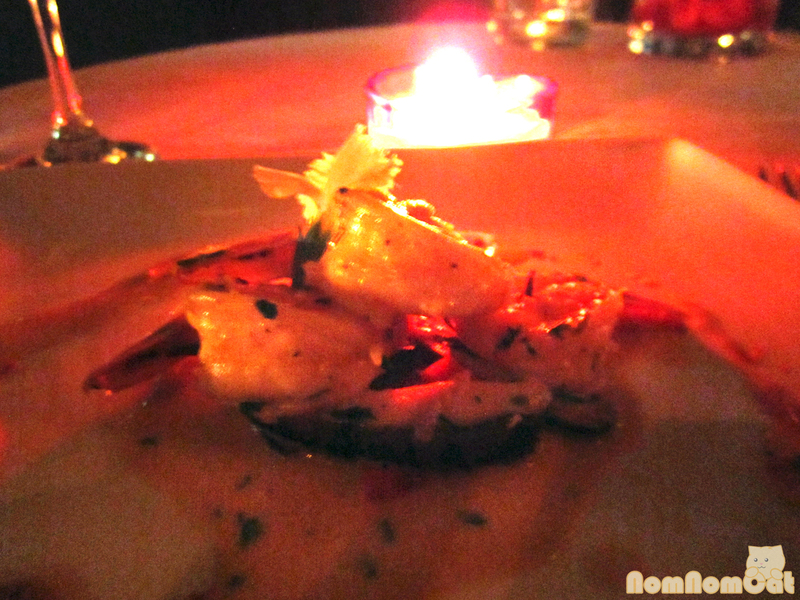 The shrimp were a tad overcooked but tasted delicious. The sautéed shiitake in the Harissa sauce were an excellent complement to the dish. Course 5: Sea Bass Tagine – roasted pan seared sea bass, served with fingerling potatoes and sauteed mixed peppers, topped off with a lemon sauce. 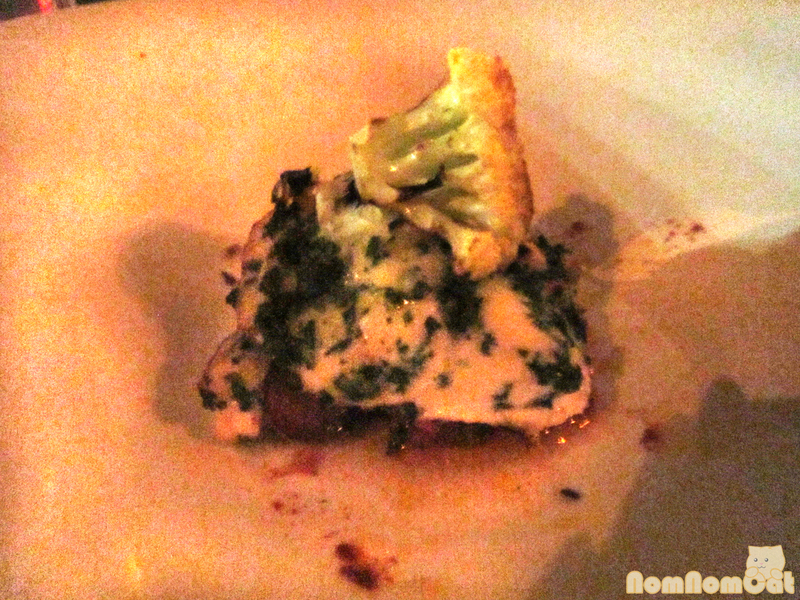 The sea bass was STUNNING – beautifully flaky and buttery. The lemon sauce was light and the touch of acid was perfect for the fish. Course 6: Chocolate Soup – served with vanilla ice cream, baklava, and mint tea. We were served the baklava first, garnished with an orchid. The layers crumbled with a satisfying crunch with each bite. Then came the ice cream, over which our server poured the steaming chocolate soup. 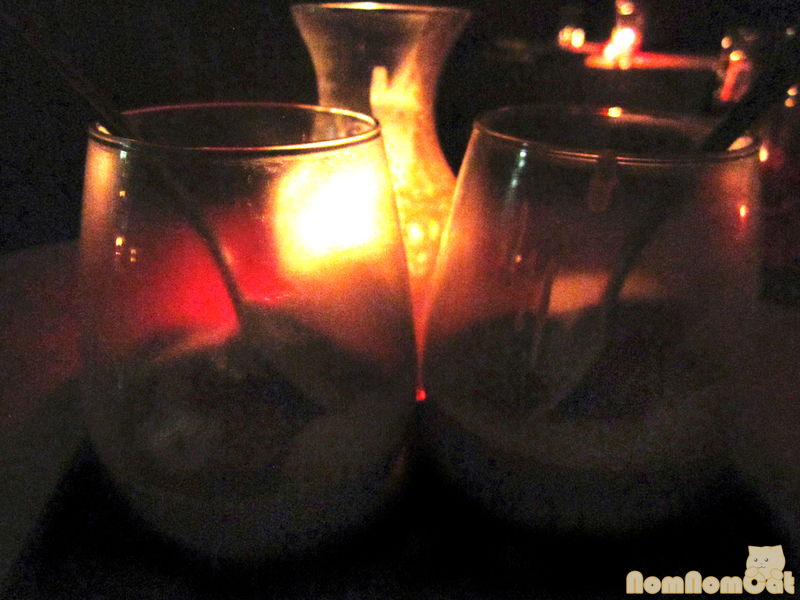 It was like smooth, creamy hot chocolate meets an Italian affogato. A bit too cloyingly sweet for me, but delicious nonetheless. My only complaint? They ran out of mint tea and I was so looking forward to ending the meal with it… sad face. 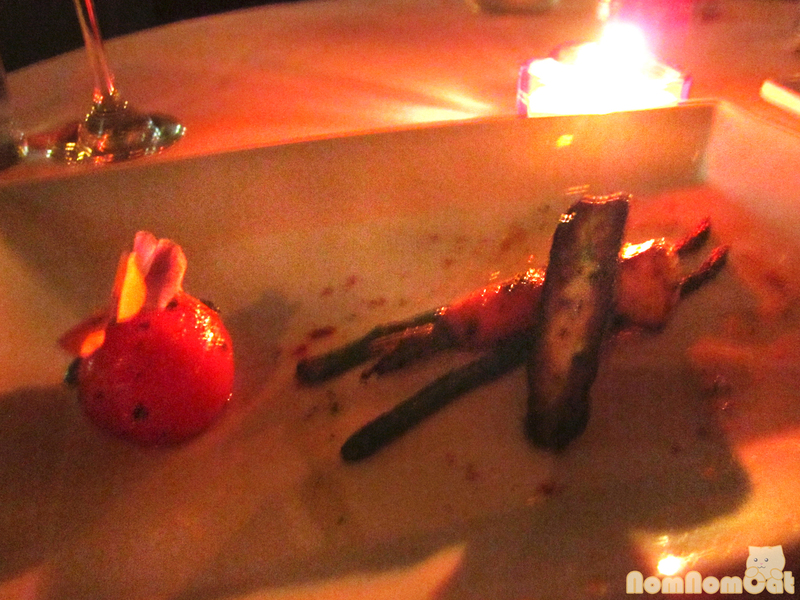 Overall it was a stellar experience with charming atmosphere and fabulous food. The highlights of the night, for me, were the hummus, the brussels sprouts, the sea bass, and the baklava. Incredible. If you’re looking for a hot spot with a hole-in-the-wall feel and delicious food, I’d highly recommend Tagine. I cannot comment on the authenticity but I can definitely tell you that the spice palate was very enjoyable.